The IMF plays a key role in global economic stability. To summarize what it does, the IMF maintains the ability of small countries (exporters in the context of globalization) to continue selling cheap goods (such as Nike shoes) to rich countries like the U.S. for prices less than what it would cost to manufacture the goods at home. To enable countries to carry-on their business, the IMF uses its funds to maintain account balances of what is called ‘hard currency’ in reserves of poorer nations. ‘Hard currency’ is money that can be used anywhere in the world such as USD and Euro. ‘Soft currency,’ such as Ukraine’s hryvnia, is currency that can only be used to buy products within its native country. Foreign countries won’t accept Ukraine’s hryvnia for payment because they have greater trust in more stable, global currencies like the USD. Therefore, Ukraine needs large amounts of ‘hard currency’ to buy equipment to vitalize industrial output and import goods they are unable to manufacture at home, which includes virtually everything outside agricultural products. 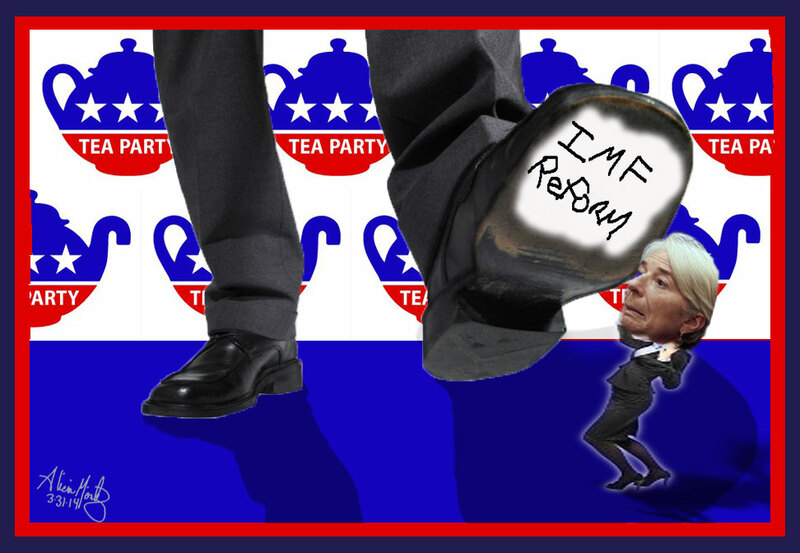 This week, certain members of Congress, including all Tea Party members, voted down reform to IMF funds which are essential both for the Ukraine as well as all 188 member nations. The reason they voted down these reforms is because they claim 1. reform will diminish American power at the IMF and 2. reform puts more tax money at risk. Not surprisingly, the Tea Party is entirely wrong on both accounts and consistent with their historic behavior, it appears their on-going ignorance is to blame. Addressing the first concern, part of the calculation for the IMF quota is based on weighted average GDP making the U.S. the largest contributor (our GDP is twice that of China, the world’s second largest economy). However, we are also the only country in the world granted veto power. This unique power is not in any way diminished by the suggested reforms. Second, the Tea Party’s concern about more tax dollars being at risk is also without founding because American credit lines to the fund are commensurately cut in relation to the increase in quota having a net-zero effect. The proposed reforms to IMF quotas are very much within U.S. interests because it allows Americans to buy goods manufactured more affordably elsewhere leaving more money to be spent on other things. Further, it benefits business prosperity because corporations raise profit margins through lowering cost of goods (COGS) via globalization. For a party that claims deep concern for U.S. economics, the Tea Party’s repeated low-brow mistakes in understanding simple policy decisions lends little credibility to a notion they have an answer to a broken system.